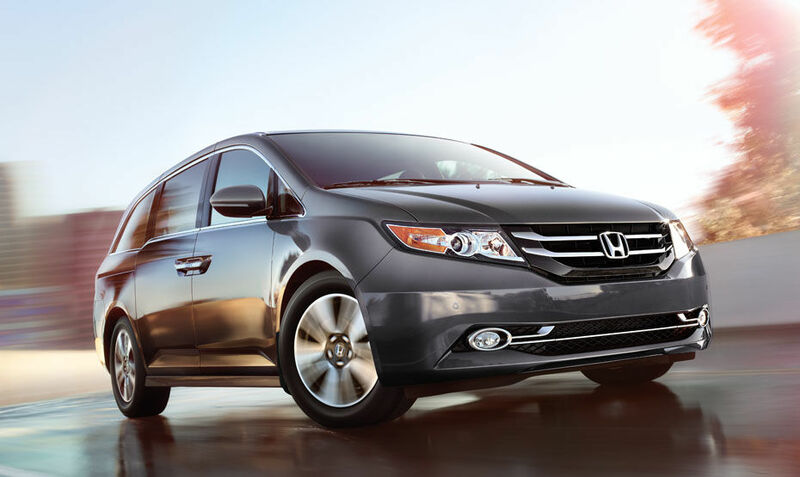 Buyers in the market for a family-friendly vehicle that offers both a versatile interior and a list of features may want to take a look at the 2014 Honda Odyssey. 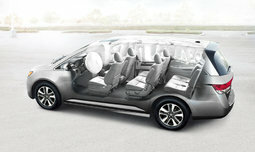 The automaker’s minivan has received top safety ratings, and will provide its occupants with a quiet cabin and a smooth ride. It also comes equipped with a strong and fuel-efficient V6 engine. 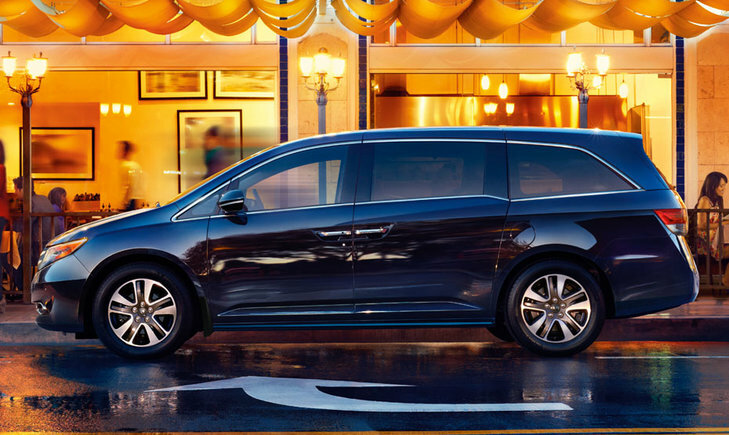 Parents in need of a secure vehicle will surely appreciate the Odyssey’s TOP SAFETY PICK+ rating from the Insurance Institute for Highway Safety. In addition to this, Honda’s minivan also received the 5-star overall rating from the National Highway Traffic Safety Administration. Consumers can expect the vehicle to be equipped with features like vehicle stability assist with traction control, along with three-row side curtain airbags with a rollover sensor, and childproof rear door locks that will keep children safe as well. There are also available features that one can opt for, such as a blind spot information system, forward collision warning, lane departure warning and Honda’s LaneWatch blind spot display that will add to the safety of the occupants, and the convenience of the driver. The 2014 Honda Odyssey has a starting price of $29,990 MSRP, and comes available in several different models, like the LX, SE, EX, EX-L, EX-L Navi, and Touring trims. The comfort of heated front seats; along with leather-trimmed seating surfaces are available. The driver’s seat is also power adjustable, as is the front passenger’s seat, and Honda’s third-row Magic Seat (the “one-motion” 60/40 split seat) comes standard. The latter feature will help to provide additional space if needed, and the second-row seats are “wide-mode adjustable,” that again, will offer slightly more room if required. 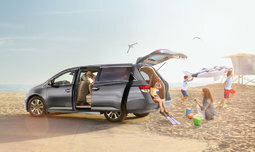 The 2014 Odyssey may very well be the perfect minivan for those in need of a versatile vehicle with 7- to 8-passenger seating. Other features such as tri-zone automatic climate control, hands-free Bluetooth (standard), navigation, and a rearview camera (also standard), are convenient and available, depending on the model. Honda’s in-car vacuum system may also prove useful in cleaning up any crumbs or spills. 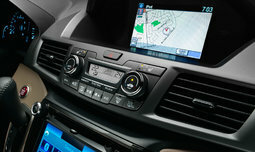 In terms of entertainment elements, certain features that are worth considering include satellite radio, steering wheel-mounted audio controls that comes standard on the base model, and Honda’s rear DVD entertainment system that will keep backseat passengers occupied during long drives. As for the driver, he or she can look forward to a total power output of 248 horsepower and 250 lb-ft of torque that comes from a strong 3.5-litre V6 engine found under the hood of the 2014 Odyssey. It’s mated to a 6-speed automatic transmission, and considering the minivan is equipped with a V6, the fuel-economy ratings are still something to appreciate. 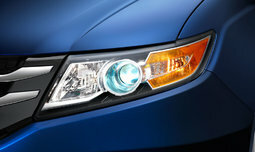 Honda’s vehicle has a consumption rating of 10.9/7.1 litres per 100 kilometres (city/highway). 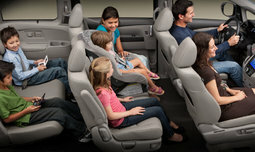 The 2014 Honda Odyssey is a minivan worthy of consumer consideration, especially for parents that require a versatile interior, and a variety of features from which to choose from. The added fun factor is that the Odyssey is also engaging to drive. Book a road test today, or visit your Lallier Honda Montreal dealership to explore the automaker’s minivan in-person.